Oxford educated Reid Hoffman is one of the founding members of PayPal, known as the PayPal Mafia, the founder of social media site for professionals, LinkedIn, and a partner at Greylock Partners, a venture capital firm that was an early investor in Facebook, Pandora, Airbnb, Cloudera, and more than 150 companies that have gone public. Not bad, Mr. Hoffman. It’s hard to imagine the 46-year-old as anything other than a successful entrepreneur, but just like any other successful business person, he worked hard to get where he is. 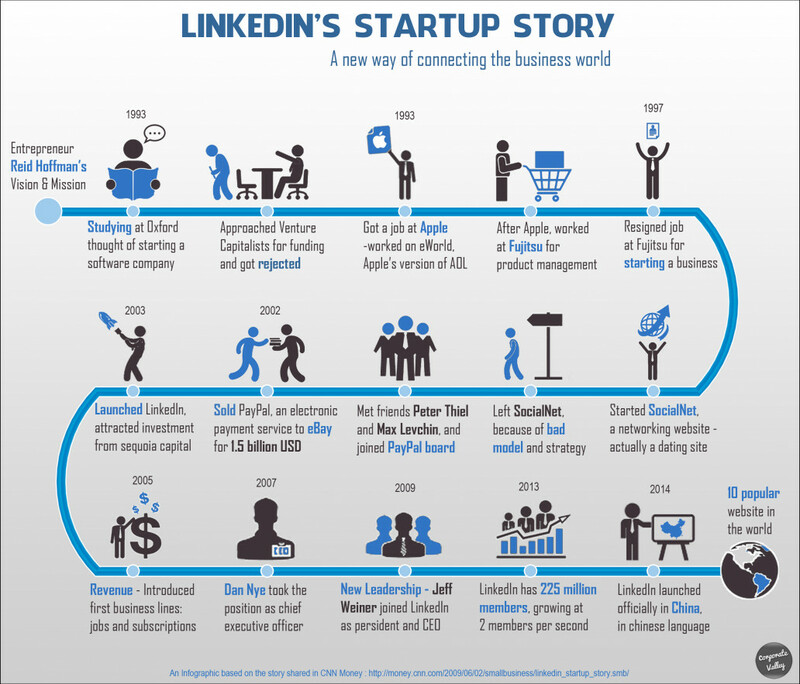 San Francisco-based infographic startup, Visually, founded in 2011, with $12.4 million in venture capital, put together the below infographic showing 15 steps Hoffman took from the ivy-clad walls of Oxford, to building LinkedIn, one of the 10 most popular websites in the world, valued last year at $24 billion by Forbes. The infographic serves as a powerful reminder that it’s not just one good decision that leads to success, but decision, after decision, after decision, for years.